We develop strategy, identity and motion design with businesses to help customers identify and build loyalty. We start with ideas. We design to delight and to create value for your customers—people who look for clarity, simplicity and optimism. We do this with the care and approach of working with global brands such as Google, IBM, Audi, Lenovo, Oreo, Zwitsal, Skittles and Cartoon Network. 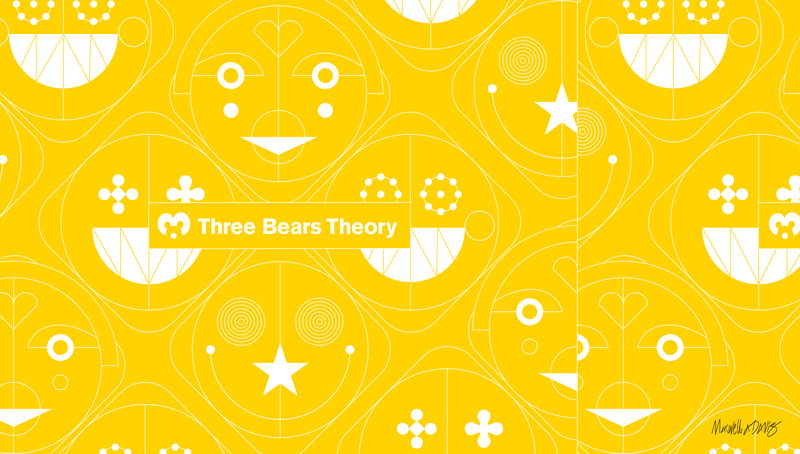 Three Bears Theory is owned and run by designer Maxwell A. Davis. The studio was formed after many years at various communication and design studios. Based in Europe with partners in USA and Asia. Maxwell studied design and communication at Central Saint Martins School of Art and Design in London, and at the Royal Academy of Art in The Hague, Netherlands. trademark of Three Bears Theory. purposes, please do let us know.